This is one of the most annoying thing I ever seen on WordPress. I’m not sure why WordPress creates such images with different size every time you upload. It simply occupies lot of space on your hosting. Whenever you try to move your site, that time you will notice the size of wp-content folder, which is mostly occupied with extra set of images of original image. If you are not sure what I’m telling, then go to your wp-content/uploads/ folder and check any of your folders. You see duplicate/thumbnail images. 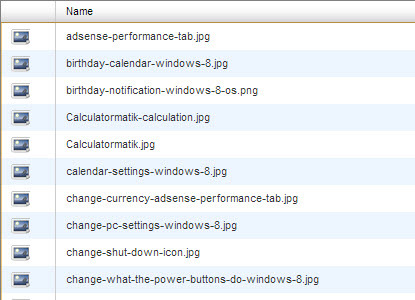 In below case you can see 150 * 150, 300 *146 size images. These are the images which are created after uploading the last image which you see on below image. The last image i.e., add-voice-memo-to-playlists-itunes.jpg is the original image and all other images are the automatically created images by WordPress. These is what I’m taking about today in this post. If you don’t want to create such extra images in WordPress, then here is a fix for it. Many users don’t know we can disable this feature on WordPress itself without editing any WordPress files or without using any plugins. After setting all those values to 0, click on Save Changes button. 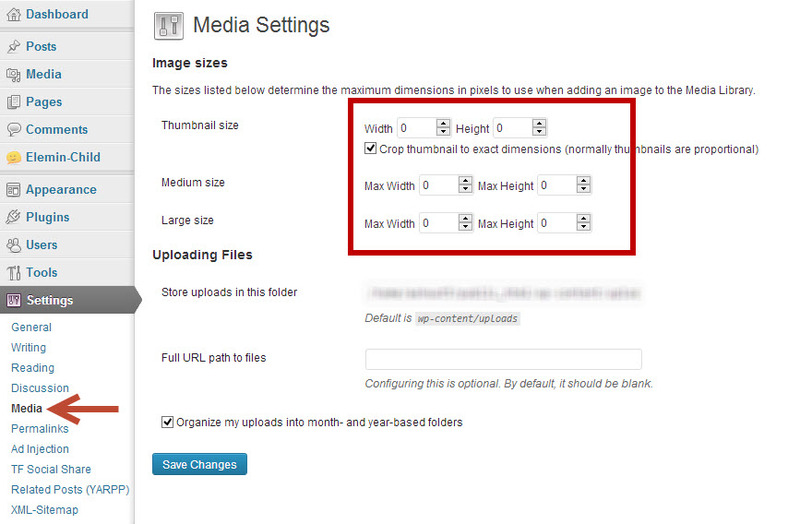 Once you done this step, go and upload any image using WordPress Media up loader. You will never see any extra images other than the uploaded image. Note: If you are using windows live writer to publish post, then again you will see extra images or thumbnail images in WordPress. So better don’t upload any images from Windows Liver Writer. Instead use WordPress media up loader to upload all your images. I personally use windows live writer to write article. When I writer article I copy the article from “Source” tab of live writer and paste to WordPress “Text” tab and delete all the images (not yet uploaded, you will see broken images) and upload images using WordPress media up loader. Thank you very much, you just saved my website. But how do I delete the already existing thumbnails without breaking my site look? It can be done by searching for common footprint in every image. For example, in my case it would be “150 * 150”, “300 *146” and deleting all the search result.